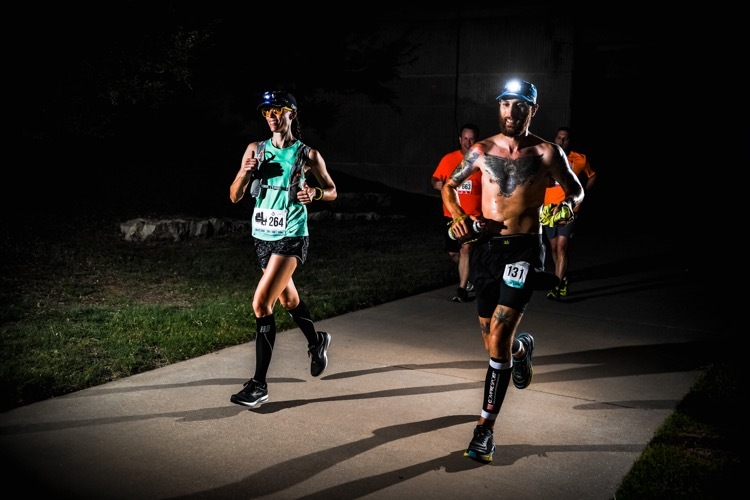 The inaugural UrbanICT 50K and 50-Mile race was held in Wichita, Kansas under the full moon. This unique race had a 9 p.m. start time on a Friday. The night was uncharacteristically cool for summer in Kansas. The race also included 5k, 10k and 25k distances, which made for a fun event with a total of 500 participants representing 13 states. 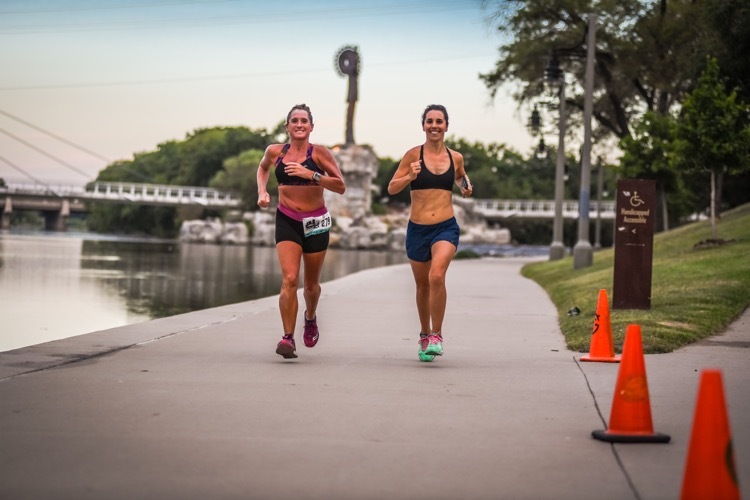 UrbanICT is Wichita’s only fixed-distance ultra. 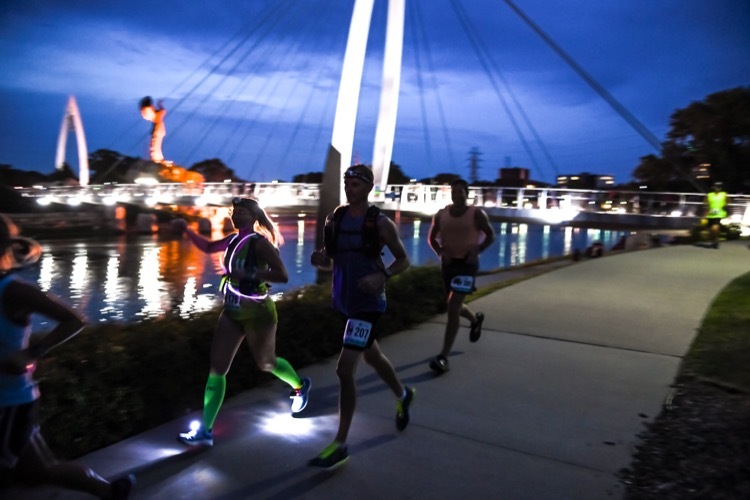 The out-and-back race on paved bike trails provided participants the opportunity to take in Wichita’s lighted night skyline. 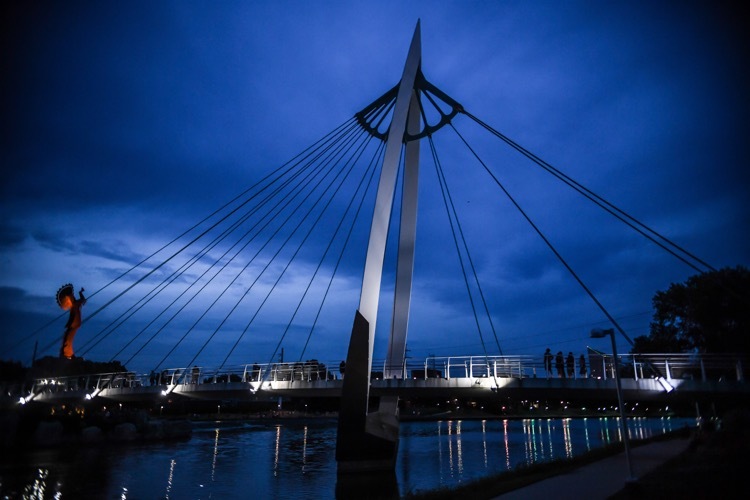 The race started downtown, crossed the Keeper of the Plains bridge and continued along the Arkansas River. The course was flat and fast. Buckles were awarded to all ultrarunners who finished under the 13-hour cutoff. The finish line featured a swimming pool filled with ice, a watermelon feast, and a food truck. As race director, I found myself never leaving a 30-yard radius of the finish line for 23 hours in a church parking lot! A brief but intense rain shower at about 4 a.m. cooled off the air and the asphalt. 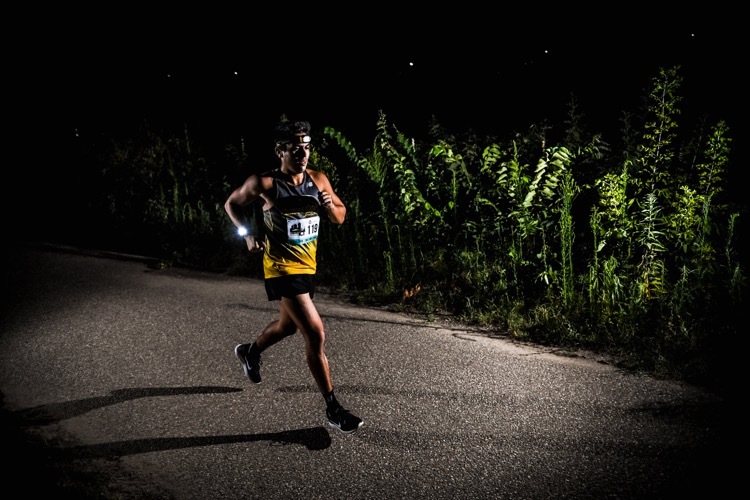 Runners reported enjoying the night race, most of them running at night for the first time. Aid station food, in addition to normal “ultra food” fare, included pizza, watermelon, and Rice Krispies treats.